Sailor Moon was such a huge part of my childhood that the Sailor Scouts were one of the first groups I finished when I starting crocheting - and she's still one of my absolute favourite designs. If you're not afraid of a challenge, try your hand at it! Hello and welcome! 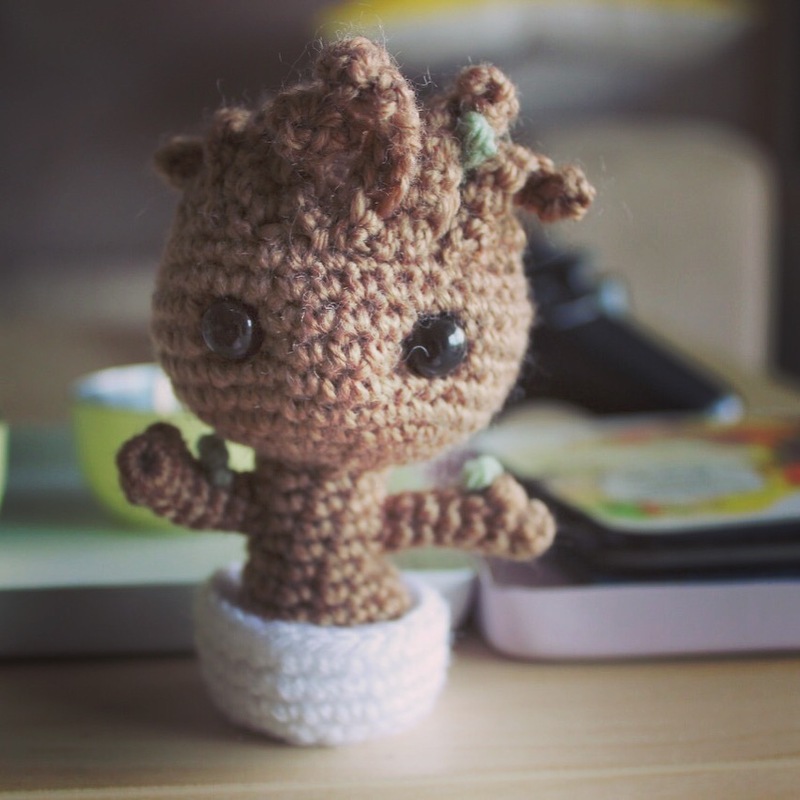 I’m Clare, and this is 53stitches – a crochet blog featuring free tutorials and patterns for some of my favourite characters from movies, anime, games, books, etc. I started crocheting in the summer of 2013, after seeing some incredible knitted dolls on Tumblr and then falling into the endless pit of amigurumi on Pinterest. The first few items I made were inside out and crocheted entirely in the back loop, since I didn’t know any better. Despite the misshappen mess those first projects were it’s such a great feeling to hold a finished doll in your hand that you made yourself, I was hooked (pun intended). I opened an Etsy store a few months later, one thing led to another, and here we are some 5 years later! This blog is a chance for me to give back to the wonderful community that provided so many free patterns and tutorials when I was starting out. So enjoy, and thank-you for your support! Learn everything you need to get started crocheting - an introduction to the building blocks, the tools you'll need and some simple starting patterns. You'll be hoarding wool in no time! Already know the basics? Then it's time to dive in! There are 20+ patterns to choose from, ranging from simple beginner projects to something a little more challenging. The best part - they're all completely free, and there are always more on the way. This little guy is an adorable addition to any desk! I'm pretty sure he spends the day dancing, I've just never been able to catch him doing it. Suitable for beginners, though be warned, the small limbs and hair can be a little tricky.